The Jaguar XE for sale at Jaguar Oklahoma City is agile on city streets and powerful out of town. The XE is Jaguar to its core: crouching, ready to pounce. The XE is part of a new generation of Jaguar cars built using lightweight aluminum architecture. It has a dynamic design optimized to cut through the air. Aerodynamic performance is a key function of the body design and supports an impressive drag coefficient. Even the underbody protection and diffuser are inspired by race-car designs. The sculpted hood sweeps back, channeling air over and around the body, minimizing air resistance. Chrome-framed, Jaguar embossed, mesh side vents emphasize a sporting character. Providing visual unity to the cabin, the side window glass is framed with a continuous chrome feature. One glance at the taut rear haunches and perfectly proportioned overhang – and you know that it could only be from Jaguar. 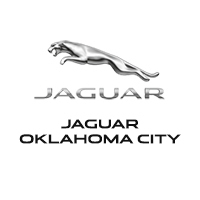 Visit your Jaguar XE dealership at Jaguar Oklahoma City or view models below.